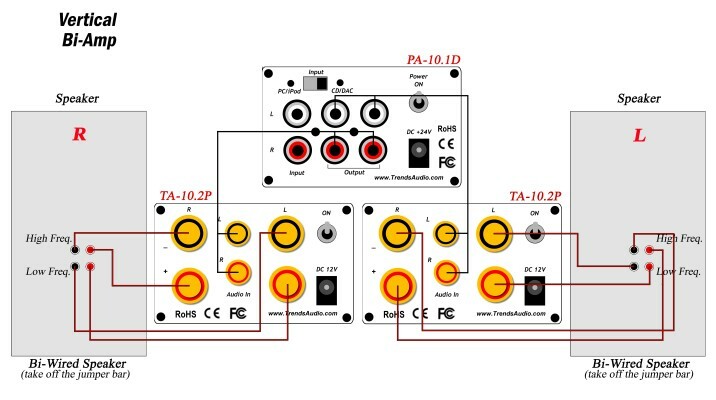 Combine the award-winning Trends TA-10.2P Class-T Power Amplifier (2 sets), Trends PA-10.1D Tube Headphone/Pre Amplifier (2 output) and Trends QB-773 Audiophile Audio Cable (2 sets). 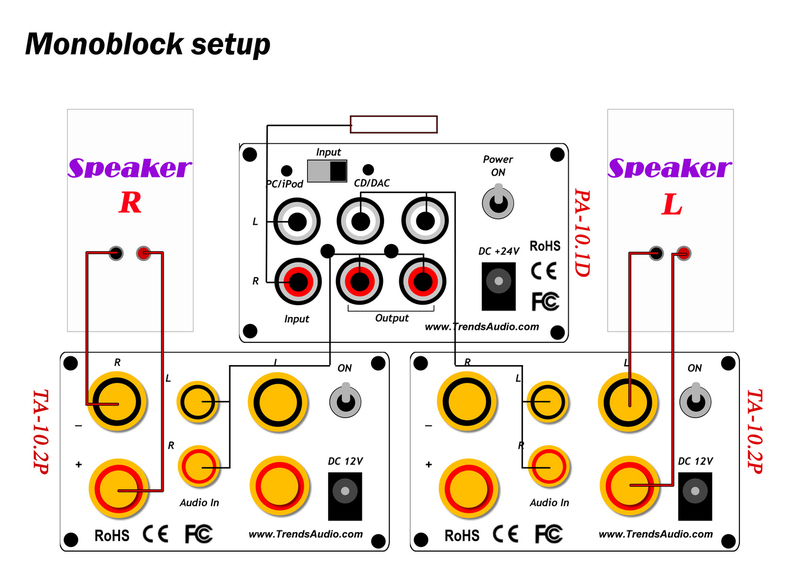 Applied a dual power supply to support two TA-10.2P power amps from a single box. 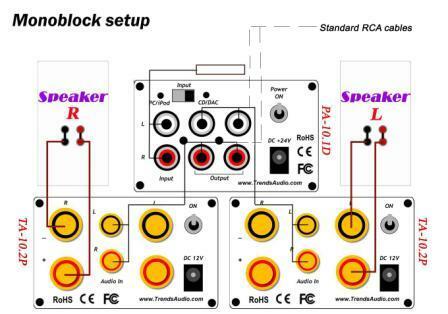 Provide all functions of headphone amplifier, pre-amplifier and power amplifier. Compact design (mini-size & light weight), easy portable and setup for Hi-Fi room, living room and sleeping room. Ensure each frequency gets a dedicated and consistent signal and this should improve the sound quality. Built-in over-current protection and over-temperation protection design in the power amplifier. Unique air-core inductor in power amplifier used (instead of magnetic-core) for better sound. 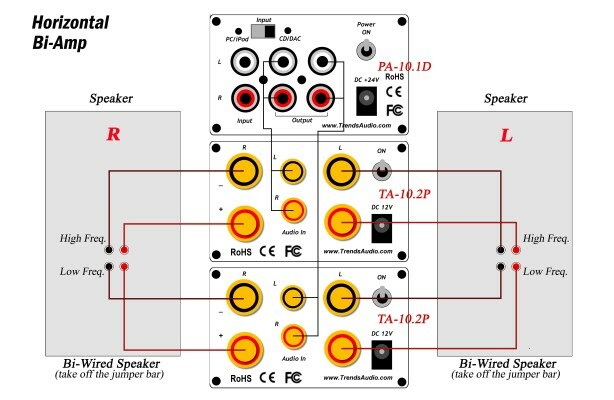 Innovative circuit design of low voltage hybrid (tube/transistor) & pure class-A circuit pre-amplifier to provide the best sound performance and easy/safe DIYer accessibility. 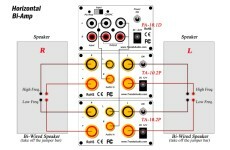 The pre-amplifier supports both 6DJ8/6922 series and 12AU7 series tubes by simply switching the jumpers. DIYers can easily change their both series tubes to enjoy the fun. ONE bi-triode 6DJ8/6922 or 12AU7 tube as voltage amplification and TWO MOSFETs as output driver the pre-amplifier perform the warm, comfortable tube sound and in addition, guarantee the high fidelity & sufficient driving power to the next power amplifier stage. 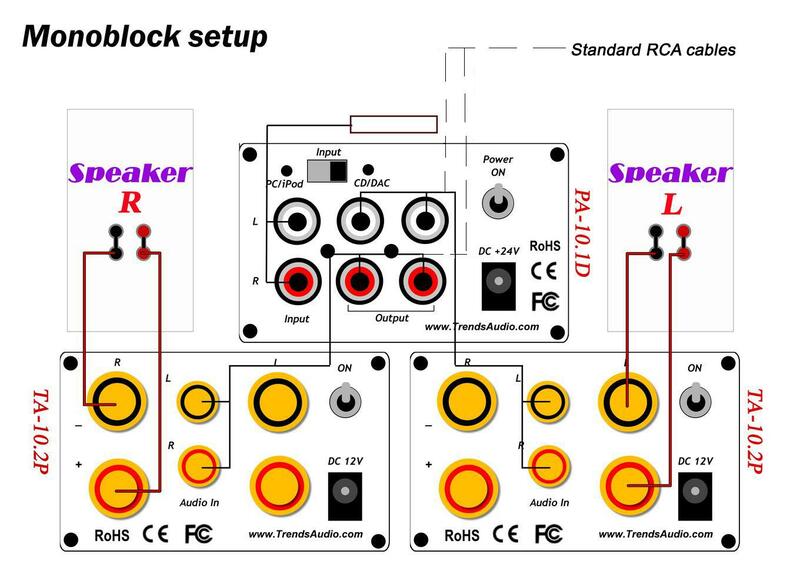 Provide TWO sets of switchable audio inputs in the pre-amplifier. 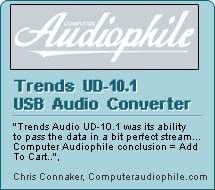 Besides the normal CD input, the PC/iPod input with higher gain is provided for small output PC/Mac/iPod/iPad or PC/Mac. Use Apple Line Out cable or RCA cable connect to PC/iPod input and it works with low output-voltage sources, making Trends Bi-amp Audio System perfect for integrating your iPhone/iPod/iPad or PC/Mac into your audio system and achieves the sound quality of high-end Hi-Fi. Besides the normal audio output in the back panel, ONE headphone output in the front of the pre-amplifier to drive even high-impedance audiophile-grade headphones. 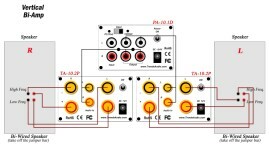 TWO precise screw-driving potentiometers for professional audiophiles to adjust the tube’s bias voltage to guarantee the best working point for different tubes. The stylish aluminium case provides outstanding shielding & grounding capability to keeps the background silent and maximize the S/N ratio. 1.Video Display of Trends BA-10 Bi-amp Audio System.